Clear transparent polyester film for window graphics, photographic overlays, industrial graphics, nameplates and switch panels. The film is tear resistant and has excellent transparency properties for good see through clarity. It offers superior ink adhesion, water and wet smear resistance as well as good light stability. 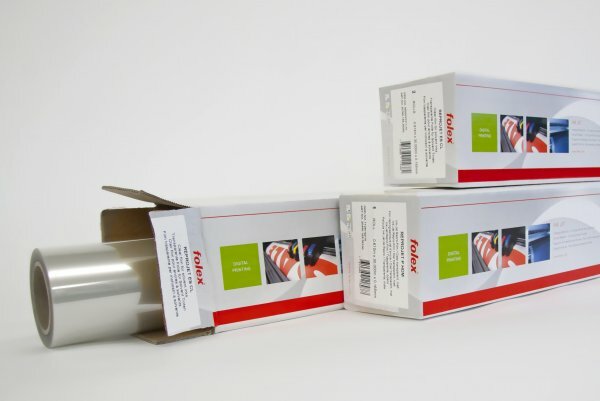 The film is ideally suited for demanding applications where ink adhesion on flexible surfaces is an important factor. Not recommended for printing with oil, solvent or water based inks. Lamination: cold or heat laminates (low-temp) possible but not necessarily essential.